T’was a marvelous night in Hollywood as many spectacular celebrities gathered together for a great cause! November 15, 2018 marked a wonderful day as it was the celebration of the 3rd Annual Vanderpump Dog Foundation Gala. 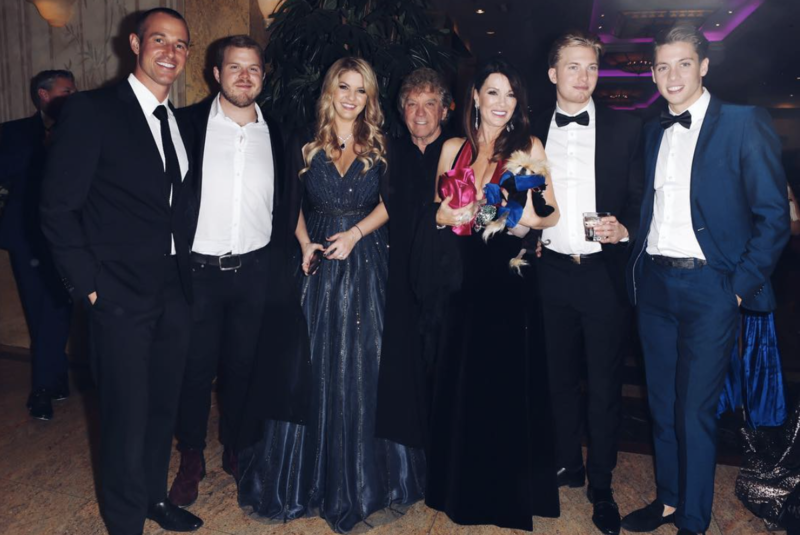 Each year, the stupendous Lisa Vanderpump, her husband Ken Todd and her daughter, Pandora Vanderpump host their remarkable Vanderpump Dog Foundation Gala – the foundation’s largest fundraiser throughout the year. Vanderpump’s great friends and fellow celebrities enjoy attending the magnificent event and showing their support towards raising funds for dogs in need. This year’s gala was extra special as it brought these incredible celebrities together and showed their resilience and dedication towards helping a countless amount of precious, furry friends especially during what was a very tough and heart-breaking time for all with the California fires. Lisa Vanderpump and her Vanderpump Dog Foundation work tirelessly to help dogs and put an end to the Yulin Dog Meat Festival in China. The gala raises funds to assist with the foundation’s day-to-day shelter operation, provide food, medication and bedding for pups, dog training and rehabilitation and many other terrific missions that truly make a difference in the lives of so many dogs. In addition, part of the proceeds from this year’s event was also donated towards dogs who were affected by the wildfires in California. Guests were able to enjoy delicious champagne and drinks, a scrumptious meal and take part in an auction, where all proceeds are used to help bring extra love and care to dogs. Lisa Vanderpump and the Vanderpump Dog Foundation has and continues to make many awe-inspiring efforts to make this world a better place to live in for all dogs. From creating an outstanding Vanderpump Dog Rescue Center to releasing an eye-opening documentary titled, The Road to Yulin And Beyond, which brings awareness towards the Yulin Dog Meat Festival, those are just some of the many things Lisa Vanderpump and her foundation has worked on to help dogs get the amazing lives they deserve. The Vanderpump Dog Foundation also made a great impact helping dogs and humans during the California fires. The foundation helped collect supplies for first responders and evacuees and even gathered dog foods and other necessities for dogs who were affected. The Vanderpump Dog Foundation was also able to get many people to help rescue dogs who were in danger and have many volunteers who gave these dogs a safe haven when animal shelters were getting overcrowded. It’s truly inspiring to see how influential this foundation is. Celebrities including Mario Lopez, Chaz Dean, Leona Lewis, Dr. John Sessa, Reggie Benjamin and Ivana Benjamin, Diane Warren, Vanderpump Rules stars Tom Schwartz, Jax Taylor, Brittany Cartwright, Stassi Schroder, Kristen Doute, Scheana Marie and many others had a brilliant time showing their support and attending this year’s phenomenal Vanderpump Dog Foundation Gala. I, Alexisjoyvipaccess had a sensational time covering the 3rd Annual Vanderpump Dog Foundation Gala and this stellar event never fails to leave me amazed with how many lives it touches. Check out some more pictures below from the exceptional event and be sure to follow @VanderpumpDogs on Twitter and Instagram and visit the Vanderpump Dog Foundation’s website here to learn more about ways you can get involved with the foundation’s fantastic mission! Previous Article: Nickelodeon’s “Rise Of The Teenage Mutant Ninja Turtles” Is Making Its Way Down The New York City Streets In A Fantastic Float At The Macy’s Thanksgiving Day Parade! Next VIPAccessEXCLUSIVE: Chaz Dean Interview With Alexisjoyvipaccess At The 3rd Annual Vanderpump Dog Foundation Gala!